The global market for cervical pillows is expanding on account of the rising awareness amongst the people about the medical benefits of using these pillows. The incidence of spinal disorders has increased in recent times, thus, leading to the popularity of cervical pillows. A pinched nerve, disc sickness, herniated disc, and other similar disorders have become widespread, and hence, medical practitioners have started recommending cervical pillows to patients. Hectic work schedules leave minimum time for rest which often reconfigures the spine and causes problems such as neck pain or inability to bend. Hence, the demand within the global market for cervical pillows is expected to elevate to unprecedented levels over the coming years. Lifestyle enhancement programs for the geriatric population have brought cervical pillows to the fore. Furthermore, sports injuries and injuries caused during strenuous activities have also led to the growth of the global market for cervical pillows. A number of awareness campaigns have been launched across the globe to educate people about the advantages of using cervical pillows. Besides this, the rising disposable income of the people has made it easier for them to afford better treatments. The western regions including Europe and North America have been at the forefront of market growth over the past years. The early adoption of better healthcare facilities across the regions has been the prime reason behind their affluent growth. It is anticipated the market would also witness a prominent surge in demand in Asia Pacific where people have become aware of the different treatments available for neck pain. Cervical pillows have been gaining popularity across the globe, thanks to the rising awareness among consumers concerning the benefits of using cervical pillows. Cervical problem is amongst the most common fitness-linked issue that people around the world have been facing in the last few years. Some of the common reasons for cervical pain are neckline stress or injury, worsening disc sickness, a pinched nerve, and a herniated disc. The problem of cervical is commonly known as neck pain, and it usually arises among people who are beyond 50 years of age. The reckless lifestyle and the increasing number of health problems are considered as major factors to drive the global market throughout the forecast period. The rising number of sports injuries and neck injuries is one of the major factor boosting the demand for cervical pillows across the globe. The lifestyle modification programs for elderly are being conducted worldwide to create an understanding among people for improving health conditions. These programs encourage the use of cervical pillows for different neck pain issues. This is likely to accelerate the growth of the global market in the coming years. In addition, the spending capacity of consumers on healthcare due to increasing disposable income is estimated to drive the global cervical pillows market. Governments in several countries are conducting health management and awareness programs, thanks to this the market is expected to witness high growth in the next few years. In addition, cervical screening programs hold immense growth potential. Thus, the key players in the market are focusing on new product development and marketing activities, in order to boost the demand for cervical pillows across the globe. Among the key regional segments, North America is projected to account for a large share of the global cervical pillows market. Europe is expected to follow North America and register a healthy growth throughout the forecast period. 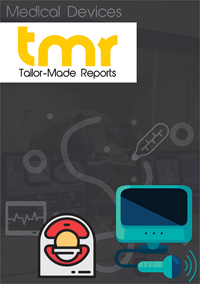 The rising awareness among consumers regarding the benefits of using cervical pillows is projected to accelerate the growth of the cervical pillows market in North America and Europe. Furthermore, Asia Pacific is likely to grow substantially in the near future. The increasing contribution from South Korea, India, and China and the increasing disposable income of consumers are estimated to accelerate the growth of the Asia Pacific market in the forecast period. The global cervical pillows market is fragmented in nature and is expected to witness high growth throughout the forecast period. Some of the leading players operating in the market are Flamingo, Mediflow Inc., Malouf and DC Labs, and Coop Home Goods. These players are focusing on research and development activities in order to attract a large number of consumers throughout the forecast period. The growth strategies, product portfolio, and SWOT analysis of the leading players have been given in the scope of the research report.